One of the biggest coal-fired power stations in Australia is looking to use greenhouse gas emissions emitted from coal to generate biofuels in a bid to lower its carbon cost. Biofuel company Algae. Tec has signed an agreement with NSW government-owned power company Macquarie Generation to erect a carbon capture and biofuels production plant next to the Bayswater Power Station, in the Hunter Valley. Under the deal, waste carbon dioxide from the power station emitted into the algae growth system will be utilised for biodiesel and jet fuel, the SMH reported. NSW Energy Minister Chris Hartcher made the announcement with Macquarie Generation CEO and managing director Russell Skelton and Algae. Tec executive chairman Roger Stroud attending. 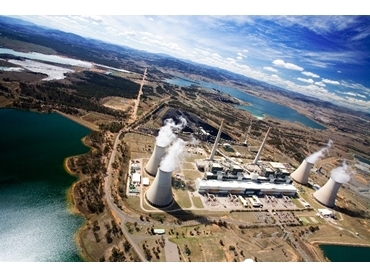 “Carbon is now our single largest cost,” Macquarie Generation chief executive Russell Skelton said. Stroud said Australia can have fuel security with algae biofuels. “At a time when all the petroleum refining capacity is closing down in NSW, this is the beginning of an era of renewable fuel which can be ‘grown’ in the state and can substitute imported petroleum products,” he said. Bayswater generates power for a district between South Australia and North Queensland and utilises around 7.5 million tonnes of coal a year. The state’s Energy Minister Chris Hartcher said this agreement would mean Hunter Valley gets a locally-generated eco-friendly fuel supply. “This deal is an innovative means of capturing and reusing carbon emissions and providing the Hunter region with a locally produced green fuel source,” he said.